You've probably seen it before: a human brain dramatically lit from the side, the camera circling it like a helicopter shot of Stonehenge, and a modulated baritone voice exalting the brain's elegant design in reverent tones. To which this book says: Pure nonsense. In a work at once deeply learned and wonderfully accessible, the neuroscientist David Linden counters the widespread assumption that the brain is a paragon of design--and in its place gives us a compelling explanation of how the brain's serendipitous evolution has resulted in nothing short of our humanity. A guide to the strange and often illogical world of neural function, The Accidental Mind shows how the brain is not an optimized, general-purpose problem-solving machine, but rather a weird agglomeration of ad-hoc solutions that have been piled on through millions of years of evolutionary history. 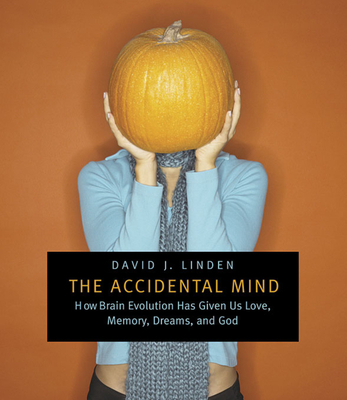 Moreover, Linden tells us how the constraints of evolved brain design have ultimately led to almost every transcendent human foible: our long childhoods, our extensive memory capacity, our search for love and long-term relationships, our need to create compelling narrative, and, ultimately, the universal cultural impulse to create both religious and scientific explanations. With forays into evolutionary biology, this analysis of mental function answers some of our most common questions about how we've come to be who we are.